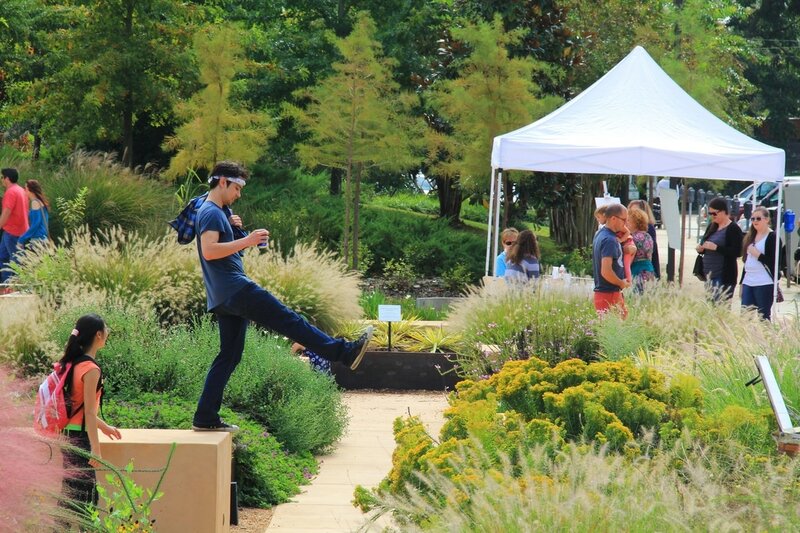 The Art Garden - NATIVE HABITATS, INC. 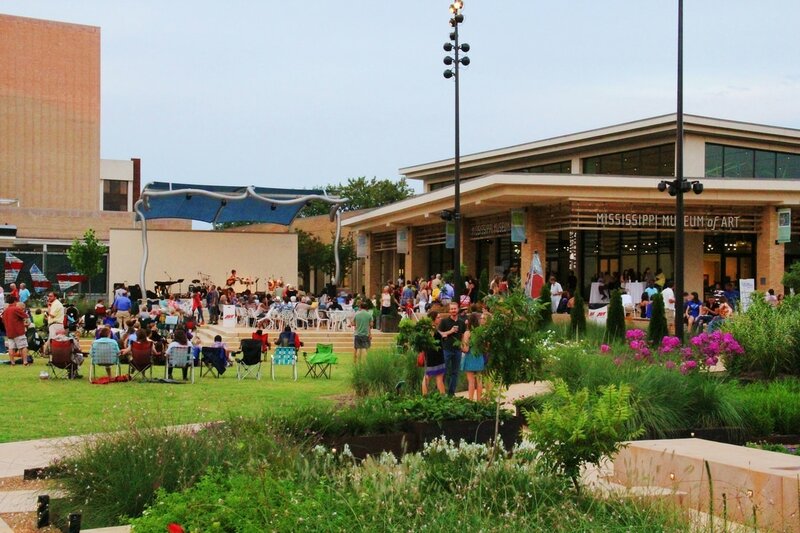 When the Mississippi Museum of Art relocated to a building it completely renovated in 2007, for the first time it had an open, inviting architectural embodiment of its mission to “engage Mississippians with visual art.” However, it found itself with an old parking lot for a front yard. 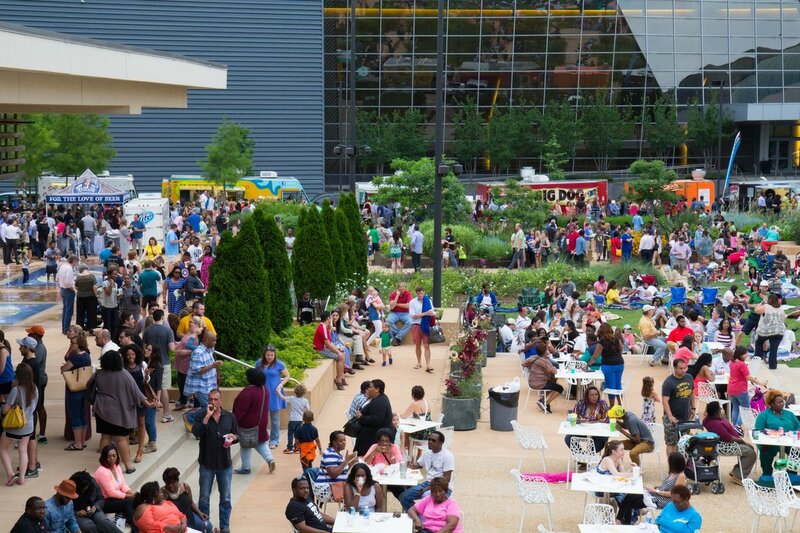 In order to be truly inviting and to extend the Museum's mission beyond its walls, the Museum needed an outdoor space that attracted people from its downtown neighborhood and from its neighboring event venues. 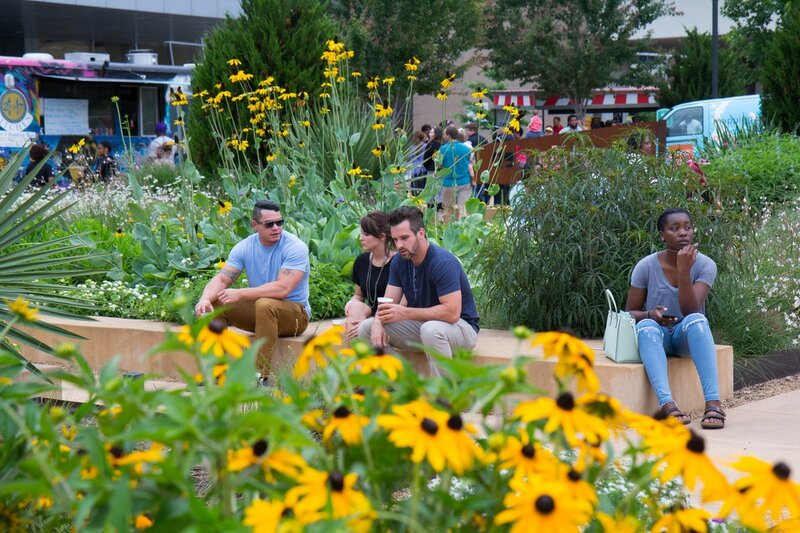 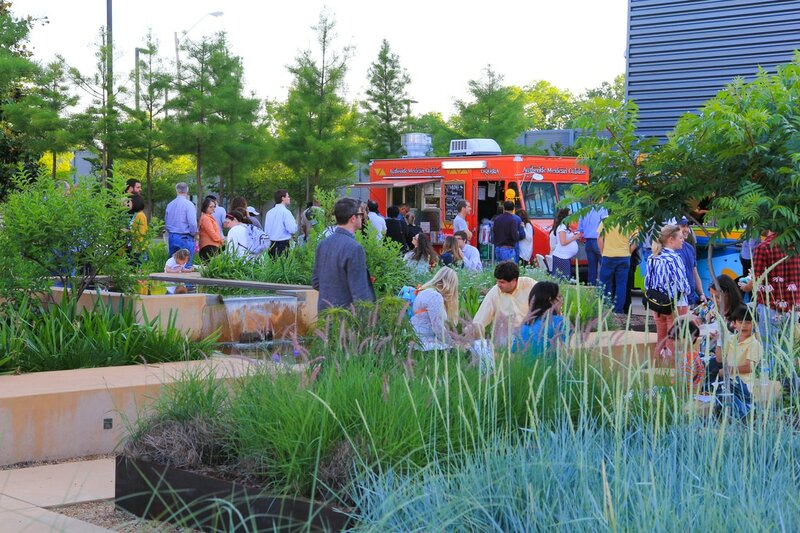 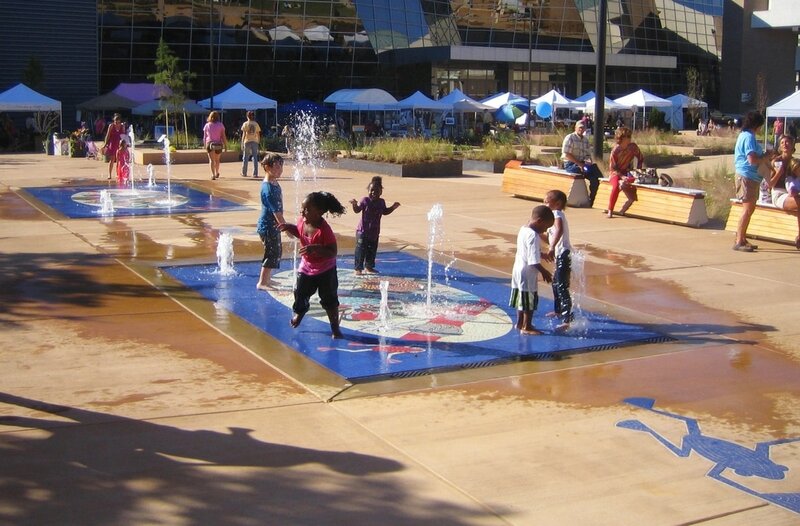 Further, the Museum recognized a true community need: downtown Jackson had only ONE remaining public green space available for community celebrations, outdoor concerts and exhibitions, and casual dining and relaxing. 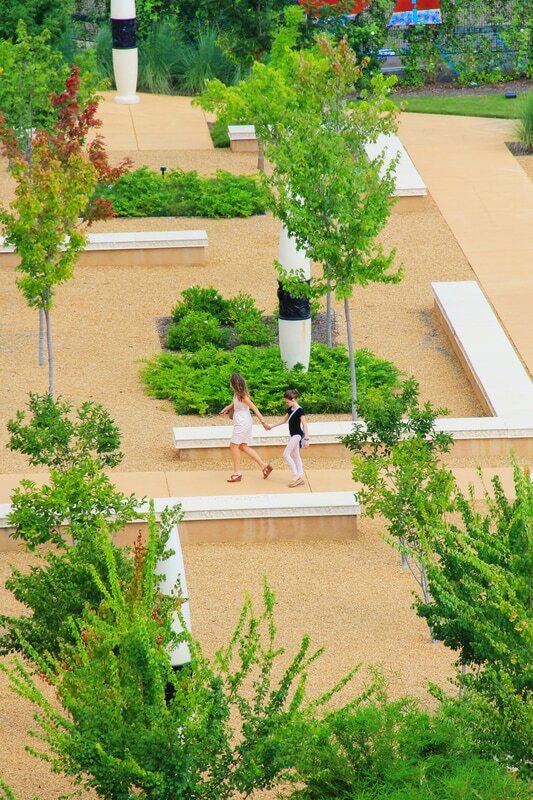 The Art Garden replaces parking lot at the entrance to the Museum with a lush, joyous, activity-filled front yard for the city. 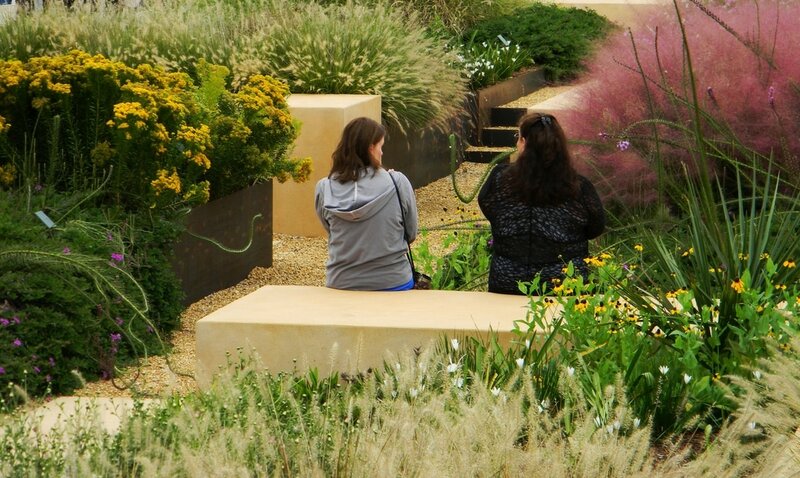 With fountains to play in, prairie-type native plants that change with the seasons, performance spaces and interactive art, the garden is at once a place for discovery, contemplation and celebration. 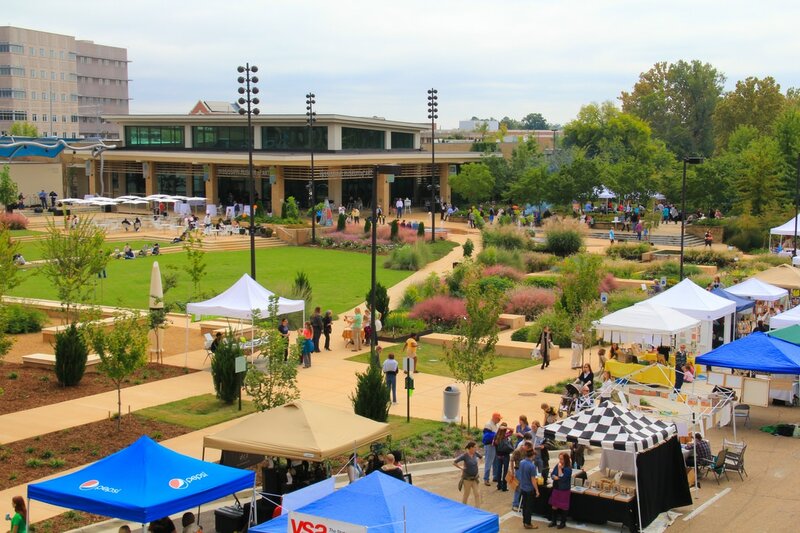 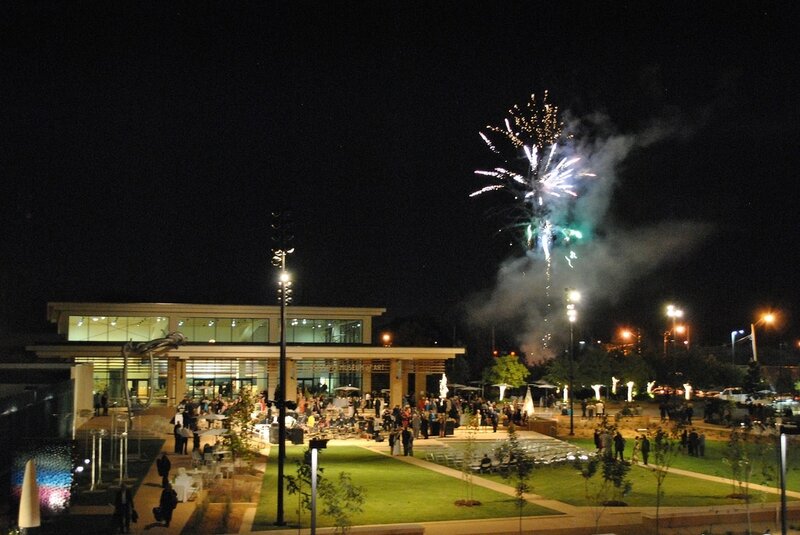 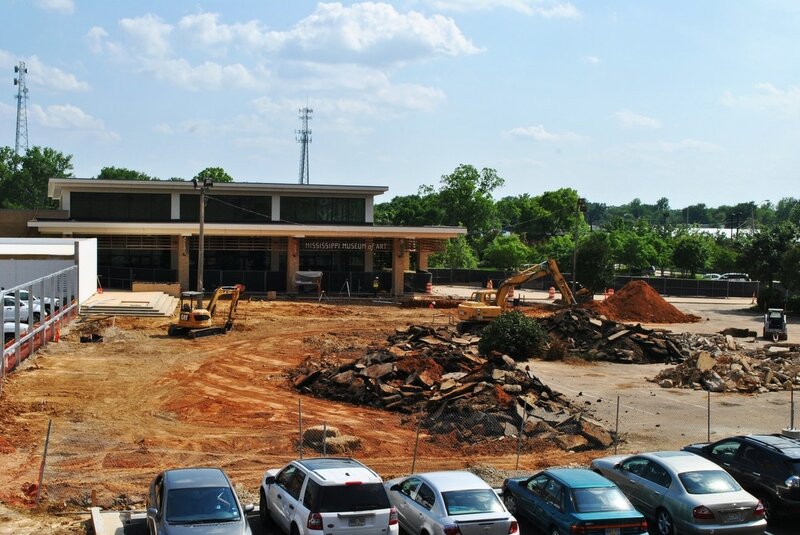 This magical green space has changed the heart of Jackson. 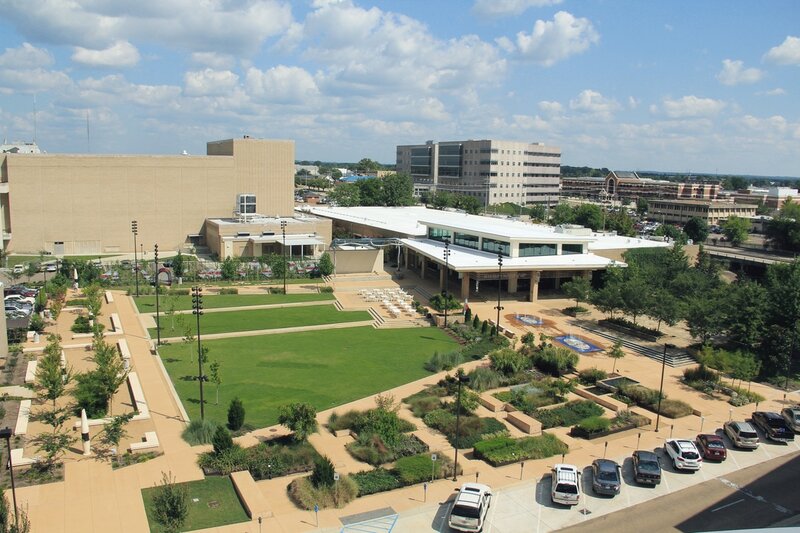 The Art Garden is located in downtown Jackson and bordered by the Museum, the city's performing arts hall, arts center, and convention center. 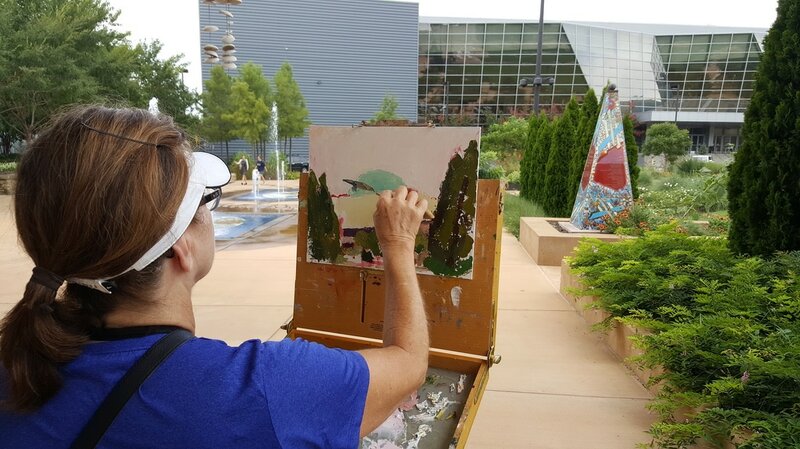 Since its opening, the Art Garden has been overwhelmingly popular with local residents and tourists, and has helped quadruple the Museum’s attendance. 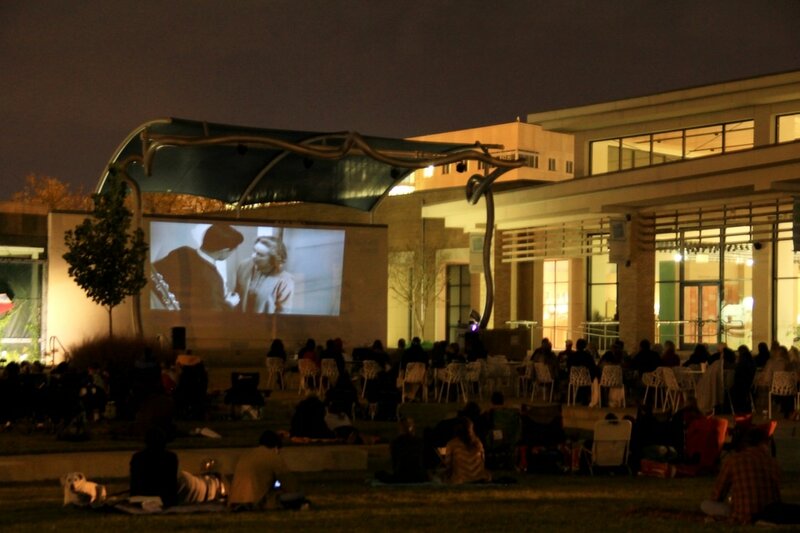 The Museum aggressively programs the space, offering monthly movie screenings, happy hour concerts, an annual arts festival, and symphony concerts. 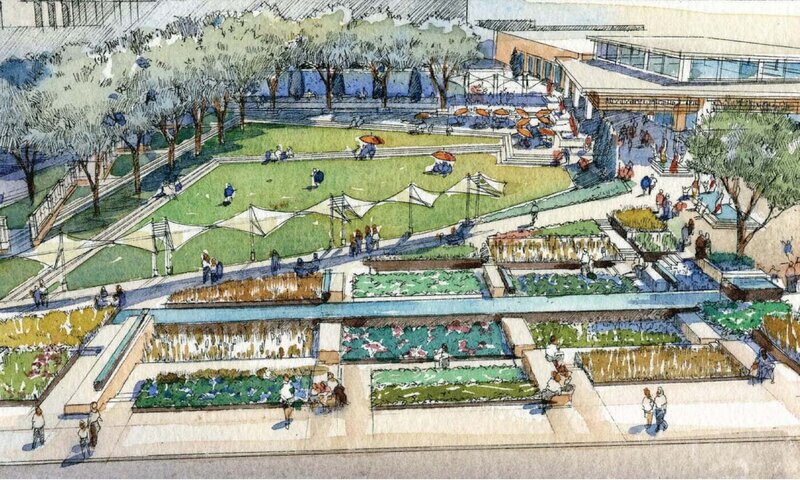 In response to the Garden’s beauty and functionality, the local St. Patrick’s Day parade (drawing tens of thousands of visitors) and the MS Blues Marathon have both redesigned their routes to feature the Art Garden.